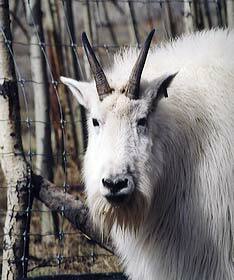 The Yukon Wildlife Preserve is a unique wildlife viewing facility featuring ten major species of Northern mammals (Moose, Muskoxen, Mountain Goats, Wood Bison, Mule Deer, Woodland Caribou, Elk, Lynx and two species of Thinhorn Sheep; Dall's and Stone's Sheep) presented in their natural environments. The YWP is also home to a small number of Rocky Mountain Bighorn Sheep, native to the Rocky Mountains of southern BC & Alberta. It encompasses over 700 acres featuring five distinct habitats and promises an unparalleled wildlife viewing experience. Enjoy a safe, 1.5-hour guided interpretive tour of Yukon wildlife in their natural environments. Tours are conducted in our new, 24 passenger tour bus with regular departures throughout the day. Preferred trade partners will have special handling with flexible departure times. Static displays and hands-on exhibits will introduce northern flora and fauna to visitors as they assemble in the log gatehouse. Guides can also step-on in vans and motor coaches. 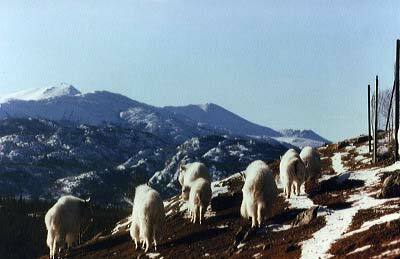 The Yukon Wildlife Preserve is home to Muskoxen, Moose, Mountain Goats, Woodland Caribou, Mule Deer, Elk,Wood Bison, Lynx and Bighorn, Dall and Stone Sheep. The wetlands attract many bird species as well as providing the perfect environment for the resident moose.The cliffs provide the home for sheep and mountain goats. The muskoxen prefer the more open spaces with tall grasses. The forested areas are preferred by the caribou and elk. The preserve supports natural habitats which provide an authentic presentation to the visitor. Maintain the habitat-based open space concept for animal displays. Balance self-sustaining animal population size with preservation of the substrate and plant communities. Enhance environment with landscaping efforts using indigenous plant species. Maintain high standards for photographic, filming benefits. Exhibit Northern Canadian wildlife species. Maintain stock with high genetic diversity. Operate within all applicable laws, regulations and industry standards. It is the wildlife preserve's mission to promote knowledge and foster appreciation of arctic and boreal ecology throught the creation of a centre of northern education, conservation and research excellence at the Yukon Wildlife Preserve. 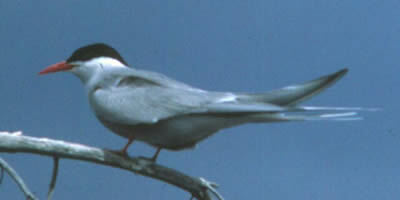 The Yukon Territory is a favourite destination for many birdwatchers. Over 60 species of birds have been seen at the Yukon Wildlife Preserve including migrating trumpeter, tundra swans and birds of prey. 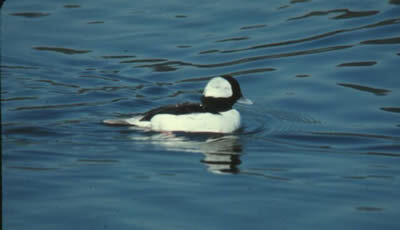 There are several major migration routes for waterfowl through southern and central Yukon. Trumpeter and Tundra Swans, Snow and Brant Geese, Northern Pintail, Common Eider, Oldsquaw, Greater and Lesser Scaup, and Sandhill Canes are some of the many that travel to the Yukon annually. At least 21 species of hawks and owls can be seen in the Yukon and many are seen at the preserve. Bald eagles and golden eagles are common. The bus tour follows a 5 km loop around the Yukon Wildlife Preserve, providing ample opportunity to view a variety of northern mammals and distinctive habitats. The tour is led by a knowledgeable interpreter, who will stop the bus to allow visitors to get off and view the animals. The bus tour takes approximately 75 minutes. Please Note: Advanced booking is required during the winter months. Dress appropriately for winter weather. Self-guided walking tours are available year round. Visitors are provided with an informative trail guide and a map indicating the walking routes and locations of the animals at the Yukon Wildlife Preserve. Visitors have a choice of walking a 2.5 or 5 km loop. Picnic tables, benches and outdoor washrooms are placed along walking routes for visitor convenience. Walking tours must be conducted during daylight hours. Last summer entry is at 4 pm and last winter entry is at 2 pm. We are open 7 days a week from May until September 6th from 10 am until 6 pm. We offer guided bus tours and self-guided walking tours. Bus tours depart at 10 am, 12 pm, 2 pm and 4 pm and are approximately 75 minutes long. Walking tours are 2.5 or 5 km long and take from 1.5 - 2.5 hours. Last walking tour entry is at 4 pm. Walking tours are 2.5 or 5 km long and take from 1 - 2.5 hours. Last walking tour entry is at 4 pm. It is recommended that you plan your tour a minimum of 24 hours in advance to ensure that an interpreter is available.